Pilgrims used to arrive by boat at the ports of Ferrol or A Coruña, and they would then continue their journey to Santiago on foot. 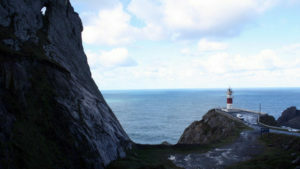 They would follow a trail along the rugged coastline, passing historic towns such as Pontedeume and Betanzos, before continuing inland across the green countryside and woodlands of rural Galicia on their way to Santiago de Compostela and its famous cathedral. The coastal city of Ferrol is also hosting to one of the most important Easter festivals in Galicia: Semana Santa de Ferrol (pictured). If you are travelling in Spring, make sure you catch some of the impressive processions taking place during ‘Holy Week’. 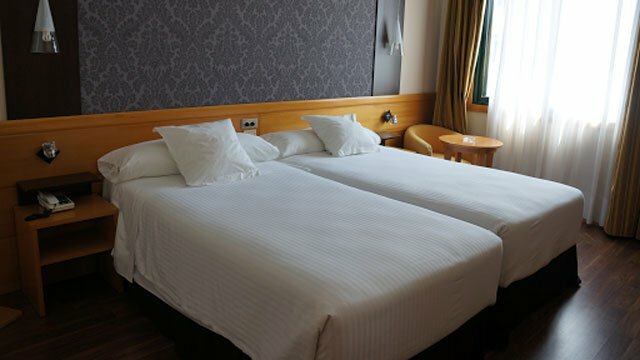 This route has excellent reviews with many 5 star ratings. 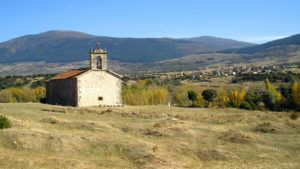 This trip is also available as a guided tour, see details here: Easter on the Camino Ingles Guided. From here the track continues to meet the Way of O Salto and at the banks of the Eume estuary you will join the Camino Real or Royal Way. There is a lovely beach at A Magdalena, which is a great spot to rest and relax. 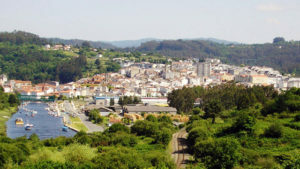 From Pontedeume the trail climbs up to give spectacular views over Betanzos, Ares and Ferrol. The trail continues on to Miño by way of a medieval stone bridge over the Baxoi river and the Camino Real once again. You will then travel along the coast to the wide estuary of the Lambre river on a path that holds beautiful views of the Rias de Betanzos and the surrounding marshlands. 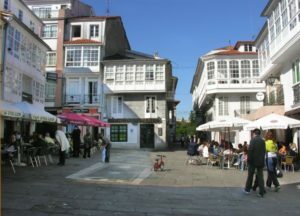 The town of Betanzos has some of the most interesting and artisitic, historical buildings in Galicia. During that day you will cross the Mendo River by way of the ancient bridge of As Cascas. From here the trail passes the villages of Matino and Boucello. You will pass the hermitage of San Paio, which is abandoned and travel through agricultural lands to the village of Bruma which is the site of a medieval hospital. A Coruña Airport 45km: In A Coruña, there is a bus connecting the airport and the train station (Line 443 stop: “Avenida A. Molina”) (departing every 30 min). See www.autoscalpita.com. There is a direct train connection between A Coruña (main train station) and Ferrol (5 times/ day, 1h20). See www.renfe.com. 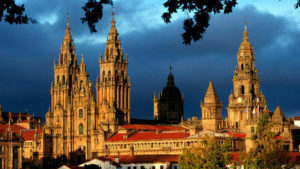 Santiago de Compostela Airport 85km: There is a shuttle bus from/to Santiago-Lavacolla airport to Santiago city, departing every 30min. Bus stops are. 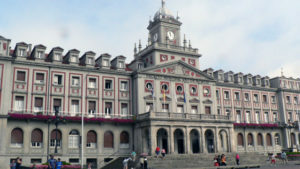 e.g., the bus station (Estación de Autobuses), the train station (Estación de Ferrocarril) or the city centre (Plaza de Galicia). 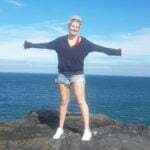 See www.empresafreire.com. There is a direct bus from Santiago (Bus Station) to Ferrol (Estación de Autobuses de Ferrol) (7 times/ day, taking 1h30). See: horarios.monbus.es. Vigo Airport 180km: From Vigo airport you can take a local bus to Travesia de Vigo (every 30 min) and then take a bus to Ferrol (5 times a day) or a train from nearby Vigo Guixar train station to A Coruña (where you can take a train or bus from A Coruña to Ferrol) Approximate travel time is 4 hours. For train timetables see www.renfe.com and for bus information see: horarios.monbus.es.